Lukas discusses the latest version of the Skins Glove: 13-gram nylon with a sandy Nitrile coating…better grip and fully water and oil proof on the palm. This coating is only on our Skins Gloves, not our Skins HD Gloves. For more information on FastCap’s Skins Gloves, visit our website. Lukas discusses the latest version of the Skins Glove: 13 gram nylon with a sandy Nitrile coating…better grip and fully water and oil proof on the palm. This coating is only on our Skins Gloves, not our Skins HD Gloves. Why stop to pick up the hoe and again to pick up the rake? No more unnecessary interruptions when gardening. Why stop to pick up the hoe and again to pick up the rake? The Rake N’ Hoe Mini has combined both tools in one to allow for a continuous workflow. This tool will save you loads of time. Now all you have to do is rake, flip, and hoe. No more back breaking work, just extra time to sip lemonade and enjoy your beautifully manicured yard. Lukas discusses the new version of the Skins Glove: 13 gram nylon with a sandy Nitrile coating…better grip and fully water and oil proof on the palm. This coating is only on our Skins Gloves, not our Skins HD Gloves. Please note, the Rake N Hoe has been discontinued, but the Rake N Hoe English Garden Mini is still available. 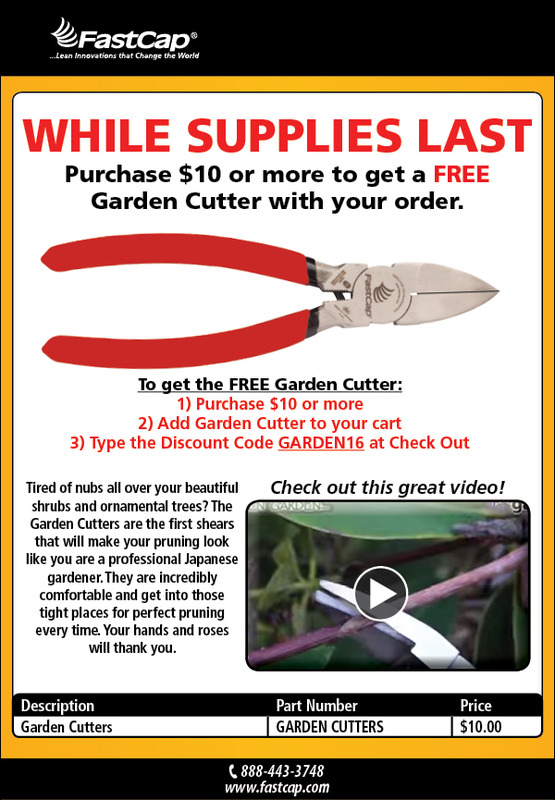 FastCap Team members discuss the English Garden Series Rake N’ Hoe from Kaizen Garden. For more information on FastCap’s Rake N’ Hoe Family, visit our website.